Who actually needs a screw clamp on which the spindle is rotated by 45°? Something that seems exotic to one person makes another person's daily life much easier. BESSEY constantly develops new products for metalwork and construction, as work processes and assembly procedures change. The STBS high performance clamp weighs 17.3 kg and clamps up to 3.5 t. The AM4 aluminium mini clamp weighs just 60 g. Whether it's for heavy industries or precision engineering, BESSEY tools are aligned exactly to the end user's requirements. "BESSEY. Simply better" is the company slogan. For Carsten Spang, member of the Executive Board, continuous innovation is a key factor to keep it this way: "We see unsolved tasks as a potential for innovation. If BESSEY can't do it, nobody can", said Carsten Spang. 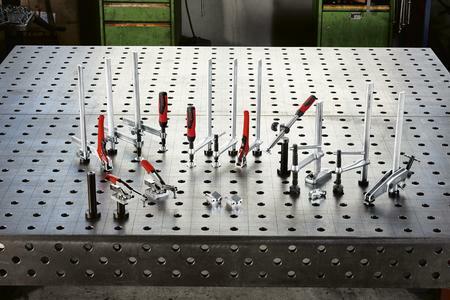 The tool manufacturer from near Stuttgart in the south of Germany is well known for the quality of its products. For BESSEY, quality already begins when selecting the material. For example, BESSEY Tool sources the rails and spindles from BESSEY Präzisionsstahl (BESSEY Precision Steel). The material testing is state of the art. 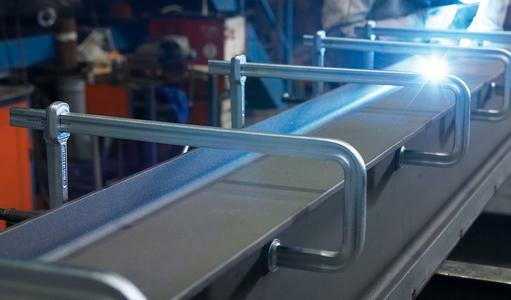 These modern testing procedures prevent waste and ensure quality. 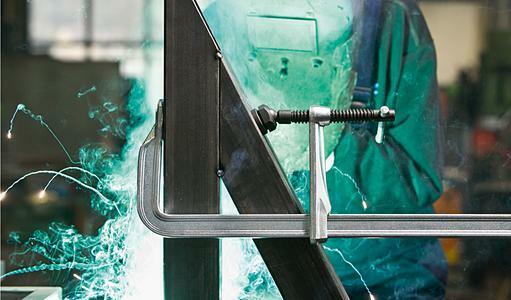 Precision steel from BESSEY meets even the high demands of the automotive industry. What makes the company particularly special is that we cater to individual customer wishes. By partnering with our customers, BESSEY has been able to remain one step ahead of our customer’s requirements. Application engineers with special training work to align the tools exactly to requirements. Both the company and the end user benefit from feedback as the correct tool saves time in the work process and is a real safety factor. Thanks to sensible accessories such as interchangeable special pressure plates, the tools can be adjusted even more individually to the customer's requirements. 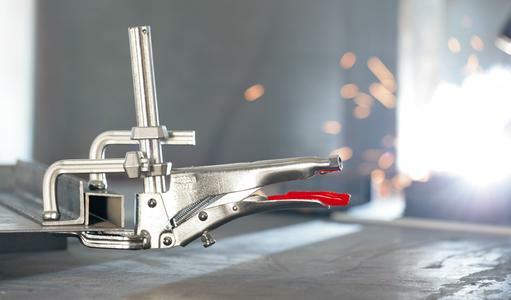 This innovative strength and our unconditional insistence on quality has made BESSEY Tool one of the largest clamping tool manufacturers in the world. The impressive product range is not all: Thanks to numerous styles and a comprehensive range of accessories, BESSEY's product depth is equally impressive. Here's a selection from our portfolio. If fast, secure clamping is required an, especially if many clamps have to be set quickly and to prevent vibrations, the GH lever clamp is an essential tool. 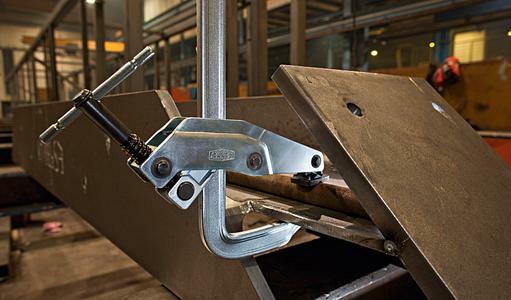 As a fast action ratcheting clamp it is up to five times faster than standard clamps. The optimised rail profile enables greater reserves of force and ensures that the clamping force is built up evenly - up to 8,500 N.
Regardless of whether the workpieces are flat, round, oval or angular, the BESSEY SG30VAD KombiKlamp is an individually adjustable screw clamp which can also be easily changed over from clamping to spreading. 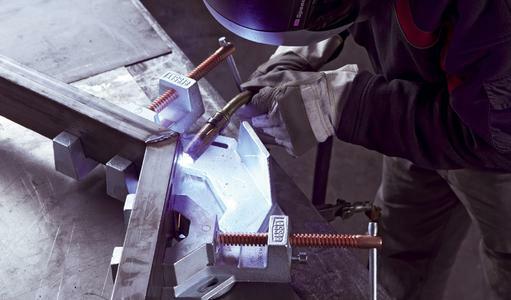 Along with the properties of a traditional all-steel screw clamp, the KombiKlamp has a special clamping attachment; the Vario clamping attachment offers a perfect fit for workpieces at angles of 60° internal to 60° external. 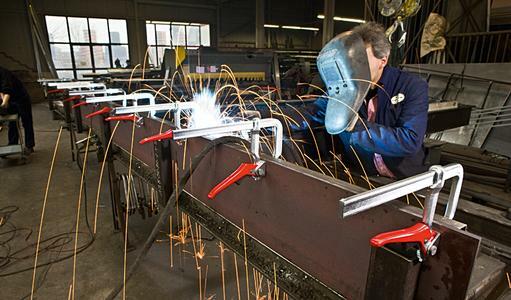 All of this with a clamping force of up to 7,500 N.
Wherever robust or heavy parts require special clamping forces and extreme safety, high performance clamps are indispensable. The SGM high performance clamp provides 20% more clamping force per turn of the handle thanks to an optimised rail profile. This means that workpieces can be clamped significantly faster and more powerfully. 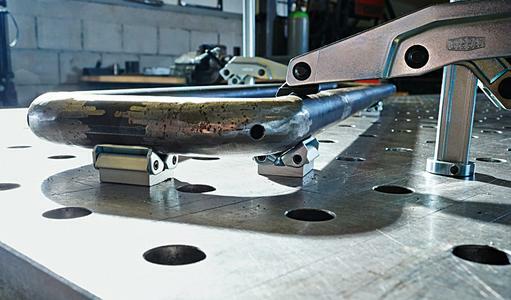 The unique rail profile provides more clamping stability for fast and safe work. The clamp is supplied with a special pressure plate that can tilt up to 35° with a smooth surface as standard. The pressure plate can be replaced quickly by a design with a grooved surface for workpieces that require a higher level of grip; or for round, oval or angular workpieces a pressure plate with a V-groove can be used. BESSEY U-shaped clamps are at the ready for fixing T-beams, U-steel and I-profiles quickly and securely. Wood to fill the gaps and extension pieces are therefore redundant. The U-clamps are available with a tommy bar or lever clamp. Depending on the model a clamping force of up to 22,000 N can be achieved. If work has to be carried out in very narrow spaces,using a GRA claw clamp or a GRS claw machine clamp can provide great benefits. The special feature of both of these tools is the spindle that is located on the outside. The handle is therefore outside the clamping range and this therefore enables free access to the work area. The STC variable toggle clamps are outstandingly suitable for tool making, mould manufacturing and prototyping. BESSEY toggle clamps clamp up to five times quicker, as their clamping width adjusts to the workpiece automatically with almost the same clamping force. This saves a lot of time in the work process. 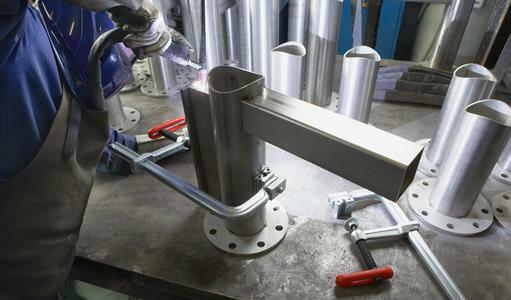 Manual adjustments to the pressure screw or complicated changeover tasks are not required. 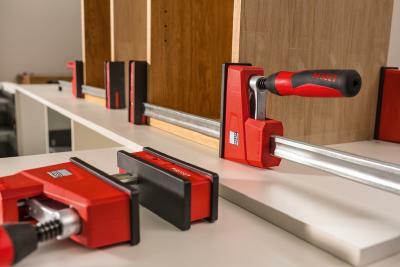 BESSEY's range includes horizontal toggle clamps, vertical toggle clamps and push/pull clamps. 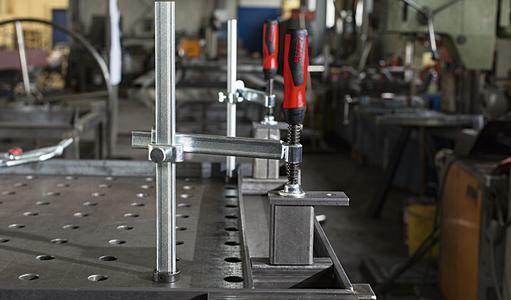 BESSEY offers a wide range of clamping elements for welding tables with a 28 and 16 mm matrix hole system. With the standard clamping elements, you can choose from 3 handle designs, as well as versions with either variable or fixed throat depth. The range also contains a clamping element with a heat-resistant special pressure plate and a gripping arm variant to enable easy access to the work area. To clamp oval, round and square workpieces, special table clamping attachments are available. Angular and horizontal clamping tasks can really be mastered thanks to a tilting adapter. 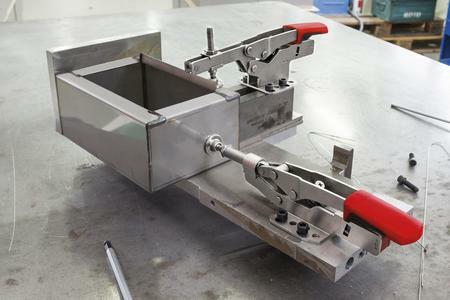 Even BESSEY toggle clamps and work table clamps can be used on welding tables thanks to special adapters, extensions and attachments. All elements can be integrated into the table without using tools, which makes them highly adaptable and enables comfortable, safe and precise operation. The SM10 welding clamp set can be used to clamp components with varying thicknesses at any angle between 5° and 180°. The copper-plated spindles prevent welding spatter adhesion. Do you want to see more exciting solutions? It's worth visiting our website or having a look in our complete catalogue. It's clearly laid out and full of illustrated application examples to present the comprehensive range of clamping and cutting technology. 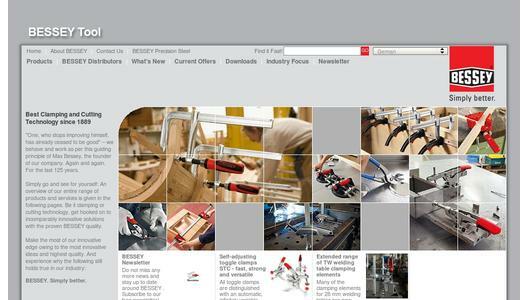 You can also find many interesting application videos on the BESSEY Tool YouTube Channel. 1889 Founding of BESSEY as a bright steel drawing plant in Stuttgart / 1936 The production of clamping tools begins. / 1944 Construction of the current parent plant in Bietigheim / 1979 Acquisition of the Ernst DIENER shears factory, thus expanding the BESSEY product range to include ERDI shears / 1984 Consolidation of tool and precision steel production in Bietigheim / 2004 Founding of BESSEY Präzisionsstahl GmbH. 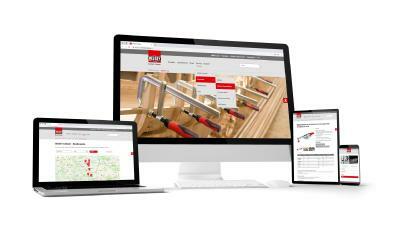 / 2005 Company renamed from BESSEY & Sohn GmbH & Co. KG to BESSEY Tool GmbH & Co. KG. 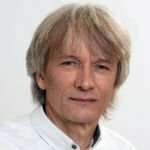 / 2011 Klaus Fuchs becomes Managing Partner of the BESSEY Group. / 2014 The company celebrates its 125 year jubilee.